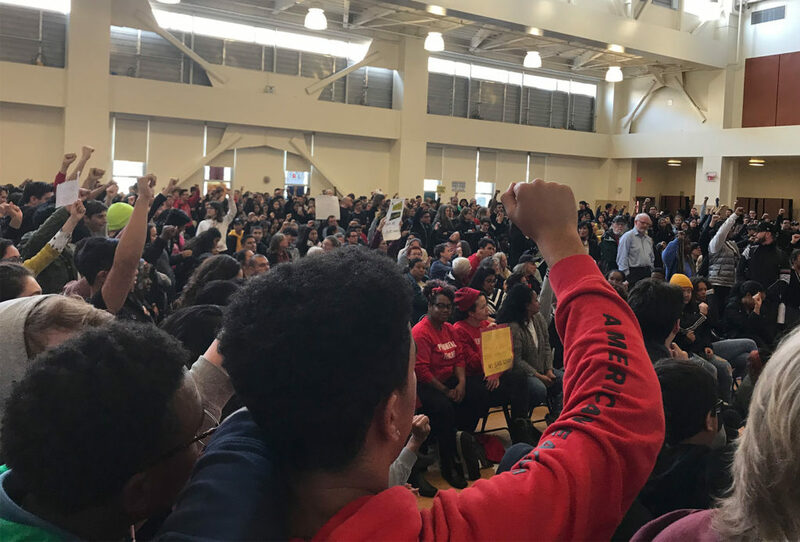 On Wednesday night, more than 50 students, parents and community organizers demanded that Oakland school board members restore the district’s free supper program. The program, which served hot meals to more than 3,000 students, was eliminated in June because of budget cuts. “I should not have to stand up here and tell you why my peers and I deserve to eat, but here I am telling adults whose very job it is to serve children that taking meals away from them is wrong,” Liliana Pacheco, a senior at Oakland High School, told the board. 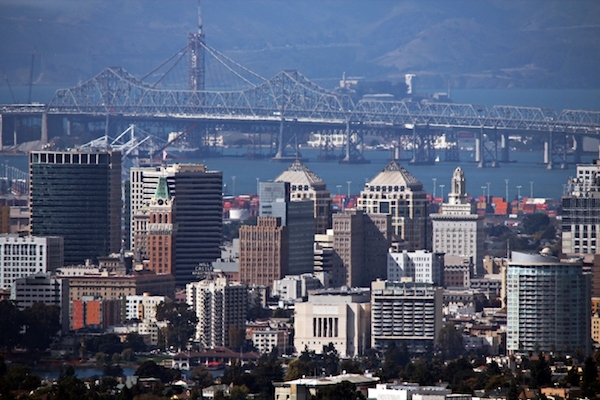 Many students in Oakland rely on their school for meals. About 75 percent of the children in the Oakland Unified School District qualify for free and reduced-price lunch. Families need to apply and qualify based on guidelines that include household income and the number of people in the home. For example, a family may qualify if their monthly income is less than $3,870 for a household of four. Several of the students talked about not being able to eat lunch because food lines are too long and they run out of time. Others said that they are so busy after school with sports and other activities that they don’t have an opportunity to eat until evening. “Young kids that stay after 8 for school programs, sports and other reasons don’t have a chance to get home, so they rely on supper to eat,” said Clarisa Garcia, 16, a soccer player at Castlemont High school. The supper program provided hot meals for students across 32 schools in the district. Cutting it from the budget saved $1.4 million dollars. Students urged administrators to instead cut programs that they feel don’t directly affect student learning, like funds for the school district police department or administrative positions. Pacheco submitted a petition with more than 1,400 signatures from students and parents urging the board to reinstate the supper program. Organizers said the students had been talking about it on campus and sending videos of themselves directly to board members to talk about the effect the cancellation of the program has had on them. Earlier in the evening, Superintendent Kyla Johnson-Trammel had said Chavez was developing a proposal to replace the supper program with a “Super Snack Program,” which would replace the current small after-school snack, but the details still had to be worked out. Also during the meeting, school district nurses and teachers delivered to the school board more than 200 statements from parents, teachers and pediatricians about the condition of school health services. The district currently has 11 open positions for registered nurses. Special education teacher Sayuri Sakamoto told the board, “As a teacher, I have to stop instruction twice a day to administer medication.” She said another teacher had to call 911 twice in the past week because of students having seizures. “It’s about kids having medical emergencies at school. It’s very scary,” Sakamoto said. After an extensive update from MetWest High School administrators and staff, the OUSD board voted to approve a plan to expand the high school by allowing a satellite campus on the Westlake Middle School Campus. MetWest would use a separate wing of Westlake that is currently not being used to increase the school’s enrollment and programs. The two would exist as separate schools with the opportunity to explore collaboration between them, MetWest administrators said. Nana Xu, director of enrollment planning and policy, told the board that the district’s student population is 36,235, which she said is a 1.7 percent decline from last year and is potentially driven by the district’s early start of the school year. Last year, school board members agreed to move the first day of school one week earlier in August for several reasons, including closer alignment with the schedule for Peralta Colleges for students who might be enrolled in programs there. Board Director Jody London (District 1) recalled that last year the board surveyed families when it was considering moving the first day of school to the second week of August. She said some parents told her they would not send their kids to school that first week and others threatened to pull out of OUSD all together if the early start date went through. The district intends to try one more year with school starting the second week of August. London said she wants to know more about whether the early start is the reason for the drop in enrollment. Enrollment numbers affect how much funding the state gives to the school district, and also how the district aligns staffing with student needs. The next Oakland school board meeting will be on Wednesday, October 10.